Location, Location! 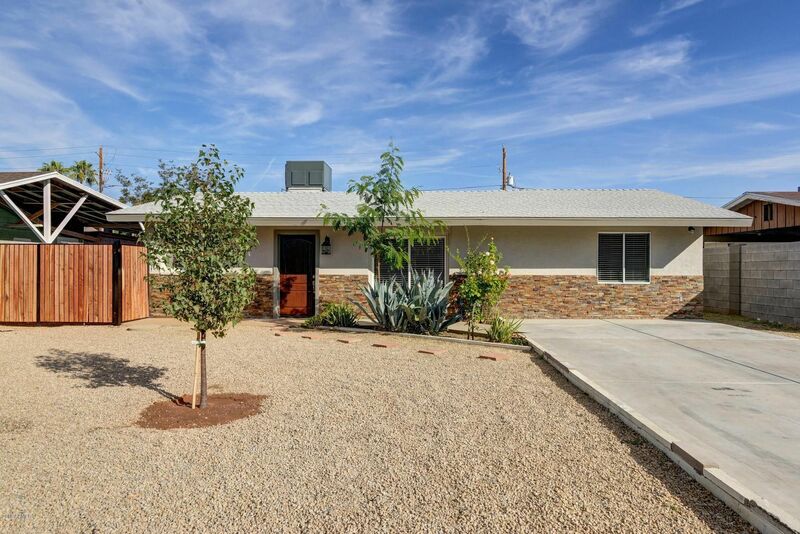 Beautifully updated home close to the airport, shopping and major freeways. This home has 3 bedrooms, 2 bath. Brand new open concept kitchen with 42'' White Maple Cabinets. Brand New Quartz Counters, New Stainless Steel Appliances. Brand New Bathrooms including new copper plumbing throughout and new sewer line. New interior paint, new double pane windows and doors, new HVAC and ductwork. On the exterior new stucco, new designer stone, new roof, new RV gate which includes a hook up for septic. RV Gate leads to huge backyard with brand new block fencing around. Plenty of space to use for storage, add a shed, build a pool, lots of possibilities! Come see this today!